Aother of my favorite techniques is using multiple inks on one stamp. I used my SU! Medallion with Basic Black and Rose Red. And the last of my favorites here is the distressing of sorts on the gray card stock. I achieve that by simply rubbing the edges of the paper over the open ink pad.... multiple times and sometimes i press down (like I did here) to get the ink to transfer further onto the paper. I do this ALL THE TIME!!!!! Seriously, go back through my blog and look at how often I do it... seriously. Ok, NOW it's time for bed. Have a sweet day (night). Great ideas. Thanks for joining Speedy Fox and Friends. What a beautiful card! 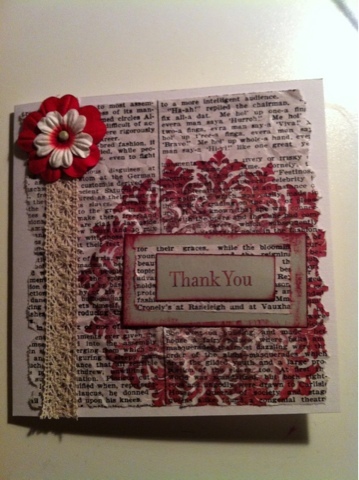 Thanks for playing along with us this week at Speedy Fox and Friends blog challenge.